III. CONTEST EXCHANGE: SSB: RS report plus CQ Zone number of the station location (e.g., 59 05). CW: RST report plus CQ Zone (e.g., 599 05). A. Score: The final score is the result of the total QSO points multiplied by the sum of zone and country multipliers. Example: 1000 QSO points * (30 Zones + 70 Countries) = 100,000 (final score). Contacts between stations on the same continent but in different countries count one (1) point. Exception: Contacts between stations in different countries within the North American boundaries count two (2) points. Contacts between stations in the same country have zero (0) QSO point value, but are permitted for zone or country multiplier credit. C. Multiplier: There are two types of multipliers. Country: A multiplier of one (1) for each different country contacted on each band. The DXCC entity list, Worked All Europe (WAE) multiplier list plus IG9/IH9, and continental boundaries are the standards for defining country multipliers. Maritime mobile stations count only for a zone multiplier. 1. Classic Operator (CLASSIC): The entrant will use only one radio, no QSO finding assistance, and may operate up to 24 of the 48 hours – off times are a minimum of 60 minutes during which no QSO is logged. If the log shows more than 24 hours of operation, only the first 24 hours will be counted for the overlay score. The one radio must not be able to receive while transmitting. Single Operator Assisted entries are not eligible for this category. C. Multi-Operator Categories (all-band operation only): Any number of operators is allowed. QSO finding assistance is allowed. Only one transmitted signal per band is permitted at any time. 1. Single Transmitter (MULTI-ONE): Only one transmitted signal on one band permitted during any 10-minute period (run station/signal). Exception: One — and only one — other transmitted signal (multiplier station/signal) may be used during any 10-minute period, if — and only if — it is on a different band from the run transmitter and the station worked is a new multiplier. The run and multiplier transmitters are governed by independent 10-minute rules. Ten-minute periods begin with the first QSO on a band. The log must indicate which station/signal (run or multiplier) made each QSO. The multiplier station/signal may not call CQ (solicit contacts). Please be sure to read the Multi-Single FAQ section at < http://www.cqww.com/rules_faq.htm >. 2. Two Transmitters (MULTI-TWO): A maximum of two transmitted signals on two different bands may be used at any time. The log must indicate which station/signal made each QSO. Each station/signal may make a maximum of 8 band changes in any clock hour (00 through 59 minutes). Total output power must not exceed 1500 watts on any band at any time. 3. Multi-Transmitter (MULTI-UNLIMITED): The six contest bands may be activated simultaneously. Only one transmitted signal per band is permitted at any time. Total output power must not exceed 1500 watts on any band at any time. A single-band log will be eligible for a single-band award only. A log containing more than one band will be judged as an all-band entry unless specified as a single-band entry. B. Plaques: Plaques are awarded for top performance in a number of categories. View the current list of plaques and sponsors at <www.cqww.com/plaques.htm>. Only one plaque will be awarded per entry. A station winning a plaque will not be considered for a sub-area award; the plaque will be awarded to the runner-up in that area. Station location: The area in which all the transmitters, receivers and antennas are located. All transmitters and receivers must be within a single 500-meter diameter circle. Antennas must be physically connected by RF transmission lines to the transmitters and receivers. QSO finding assistance: The use of any technology or other source that provides call sign or multiplier identification of a signal to the operator. This includes, but is not limited to, use of a CW decoder, DX cluster, DX spotting web sites (e.g., DX Summit), local or remote call sign and frequency decoding technology (e.g., CW Skimmer or Reverse Beacon Network), or operating arrangements involving other individuals. Electronic submission of logs is required for all entrants who use a computer to log the contest or prepare contest logs. The log MUST show the following for each contact: correct date and time in UTC, frequency (or band), call sign of the station worked, exchange sent, and exchange received. A log without all required information may be reclassified to Checklog. Contacts should be logged at the time they are completed. Stations competing for World and Continent awards must provide actual frequencies for all contacts in the log. Single band entrants are required to include all contacts made during the contest period, even if on other bands. Only contacts made on the band specified in the Cabrillo header or summary sheet will be considered for scoring purposes. Logs with contacts only on one band will be classified as single band entries. The CABRILLO file format is the standard for logs. See <www.cqww.com/cabrillo.htm> for detailed instructions on filling out the CABRILLO file header. Failure to fill out the header correctly may result in the entry being placed in the wrong category or reclassified as a Checklog. Note: U.S. stations must indicate the station location in the CABRILLO header (e.g., LOCATION: OH). Web upload is the preferred method of log submission. Web upload of logs is available at <www.cqww.com/logcheck/>. Email submission is also available. SSB logs in CABRILLO format should be sent to ssb@cqww.com. CW logs in CABRILLO format should be sent to cw@cqww.com. Include only the entry call sign in the “Subject:” line of the e-mail. Instructions for NON-CABRILLO electronic logs: If you are not able to submit a CABRILLO format log, please contact the Contest Director for assistance with submitting another format. Instructions for paper logs: Paper logs may be mailed to CQ WW DX Contest, P.O. Box 481, New Carlisle, OH 45344, USA. Each paper log entry must be accompanied by a Summary Sheet listing all scoring information, the category of competition, and the entrant’s name and mailing address in BLOCK LETTERS. Entry Confirmation: All logs received will be confirmed via e-mail. A listing of logs received can be found at <www.cqww.com>. Log withdrawal: An entrant may withdraw the submitted log for any reason within 30 days of the log deadline. Contact the Contest Director for instructions. All entries must be sent WITHIN FIVE (5) DAYS after the end of the contest: no later than 2359 UTC November 3, 2017 for SSB and 2359 UTC December 1, 2017 for CW. Resubmitting an entry after the deadline will result in it being considered as a late log. An extension may be requested by e-mail to questions@cqww.com. The request must state a legitimate reason and must be received before the log deadline. Extensions are granted only upon confirmation by the Contest Director. Logs submitted or postmarked after the deadline may be listed in the results, but are not eligible for awards. The CQ WW DX Contest Committee is responsible for checking and adjudicating the contest entries. 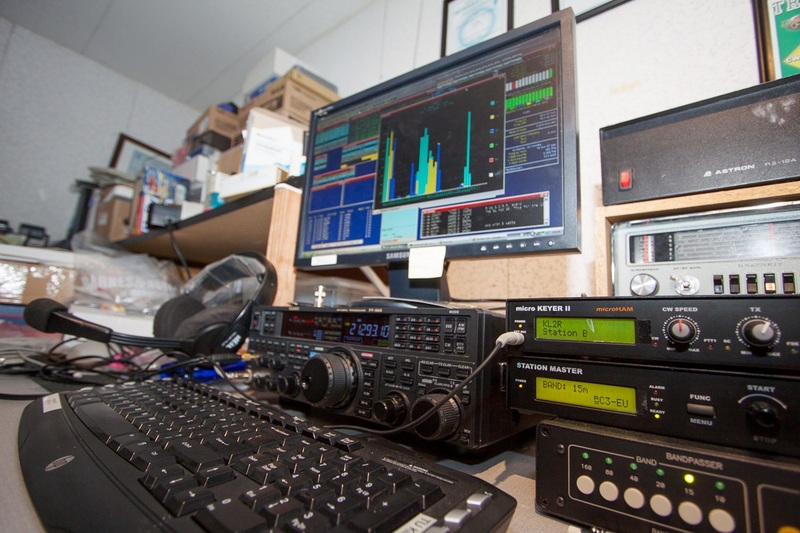 Entrants are expected to follow the rules and best amateur radio practices. Violation of the rules of the contest or unsportsmanlike conduct may lead to disciplinary action by the Committee. Arranging or confirming any contacts during or after the contest by use of ANY non-amateur radio means such as telephones, Internet, instant messaging, chat rooms, VoIP, email, social media or web sites. Transmissions by the entrant on frequencies outside of license limitations. Changing times in the log to meet band change or off time rules. Taking credit for excessive unverifiable QSOs or unverifiable multipliers. Signals with excessive bandwidth (e.g., splatter, clicks) or harmonics on other bands. Running stations not identifying in a timely manner (i.e., 1 minute). B. Observer Program: The Committee may request of any entrant to accept a visit by an observer during the contest. Failure to allow a Committee appointed observer full access to the station during the contest period may result in the entry being a Checklog. C. Audio Recordings: Any single operator entrant (see V.A.1) competing for a top five finish at the (a) World, (b) Continent, or (c) USA levels, including Classic Overlay, must record the transmitted and received audio as heard by the operator for the duration of the contest operation. The recording must be in a common format (e.g., mp3) and should include the audio to each ear as a separate channel. The recording must be a continuous recording (not a recording of individual QSOs). Time “off the air” (when not transmitting or receiving) does not have to recorded. The recording may be requested by the Committee within 120 days after the log deadline to help adjudicate the log. The recording files must be provided by the entrant within 5 days of the request. If no recording is made available, the Committee may reclassify to an appropriate category, reclassify to Administrative Check Log, or disqualify the entry. Disqualified entries will be listed at the end of the published results and are not eligible for an award. Notification of Committee actions will be sent by email to the address provided with the log submission. The entrant has five days to appeal the decision to the Contest Director. After that time the decision is final. The Committee reserves the right to change the category of any entry based on its examination of the log or other information. E. Log Checking: All logs are checked using custom software and human judgment. Duplicate contacts are removed with no additional penalty. Contacts with an incorrectly received exchange are removed with no additional penalty. Call sign errors (bust) or call signs not in the other log (NIL) are removed and receive a penalty of three times the QSO point value for that contact. For M2 and MS entries, altering the logged time of the QSO so as to “fit” the band-change rules, the QSO will be removed with an additional penalty of 10x for QSO points and for Multipliers. By submitting a CQ WW DX Contest log, and in consideration of the efforts of the CQ WW DX Contest Committee to review and evaluate that log, an entrant unconditionally and irrevocably agrees that he/she has: 1) read and understood the rules of the contest and agrees to be bound by them, 2) operated according to all rules and regulations that pertain to amateur radio for the station location, 3) agreed the log entry may be made open to the public, and 4) accepted that the issuing of disqualifications and other decisions of the Committee are official and final. If an entrant is unwilling or unable to agree to all of the foregoing, the entrant should not submit the entry or submit the entry as a Checklog only. Questions pertaining to the CQ WW DX Contest rules may be submitted by e-mail to questions@cqww.com. Answers for many frequently asked questions can be found at <www.cqww.com/rules_faq.htm>.